We wanted a fence to screen of our wildlife pond from curious visiting toddlers, at least until their parents can catch up with them and explore it together. 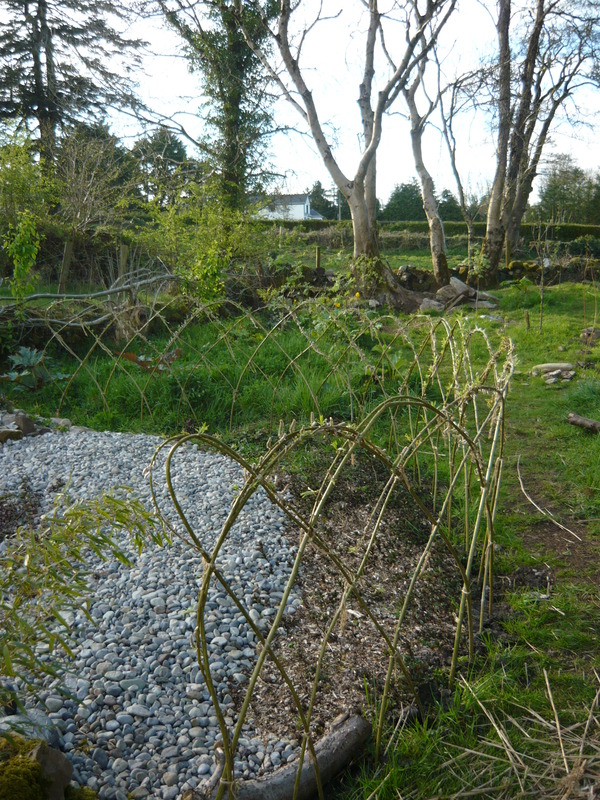 As our aim is to use only natural materials in the garden it was easy to decide on a living willow fence. We sometimes help the local preschool maintain their children’s willow dome in the playground. This voluntary work provides us with a large number of straight willow rods. We always plant them in a damp area in our woodland so that they can root and be ready for use in different projects around the garden. We dug holes at evenly spaced intervals along a curved line. As you can see the willows are all planted at about a 45 degree angle and criss crossing. After planting we wove the whole fence together over and under into diamond shapes to make it very strong. The whole fence took one afternoon to plant and tie together. We used twine at the top to hold it together until the willow is strong enough to hold its position. It has only been planted since last spring but has settled in very well. 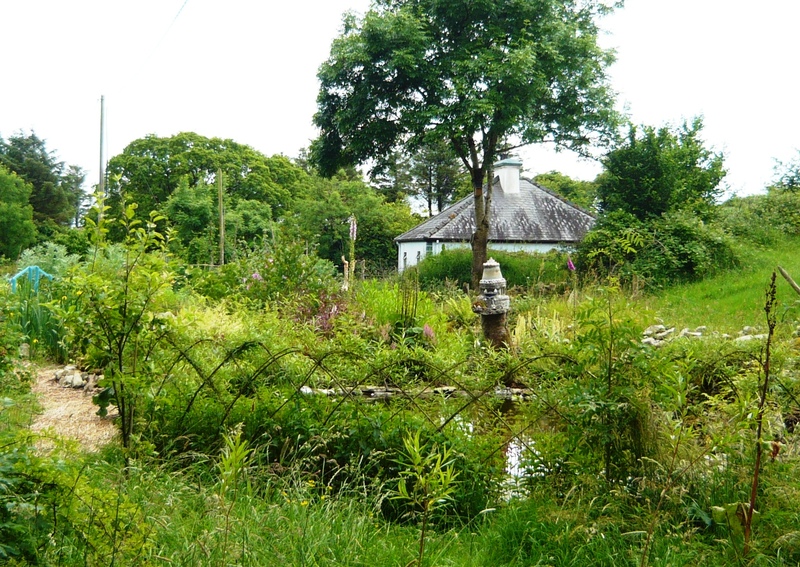 At the end of summer we wove all the new shoots into the structure to strengthen it further. Over the years it will thicken up and improve in both looks and stability. It is very rewarding to work with willow and if you start with a simple project like this, we think you will soon move on to bigger things. Children love making willow projects, there is just something magical about it. Even in the Winter, the fence brings a beautiful architectural quality to the garden. Do give it a go, you will not regret it! 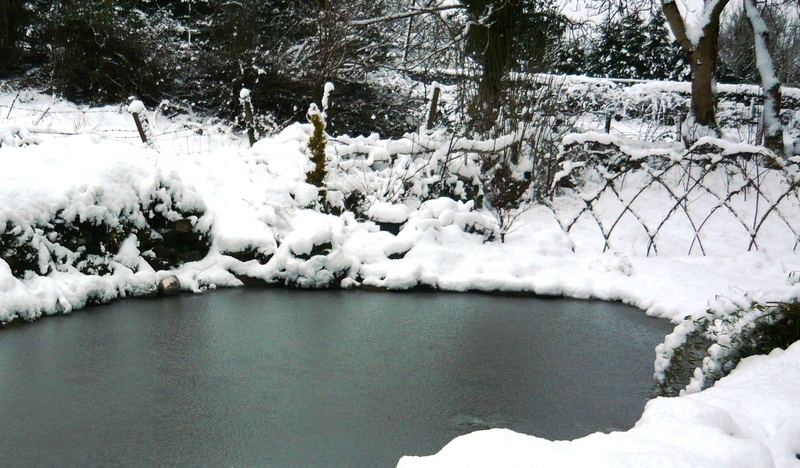 ← Building a wild life pond. We have made loads of willow fedges on our land and you’re right they do give you so much privacy and interest to the garden. Do you coppice yours for firewood? It’s something that we’re hoping to look into. 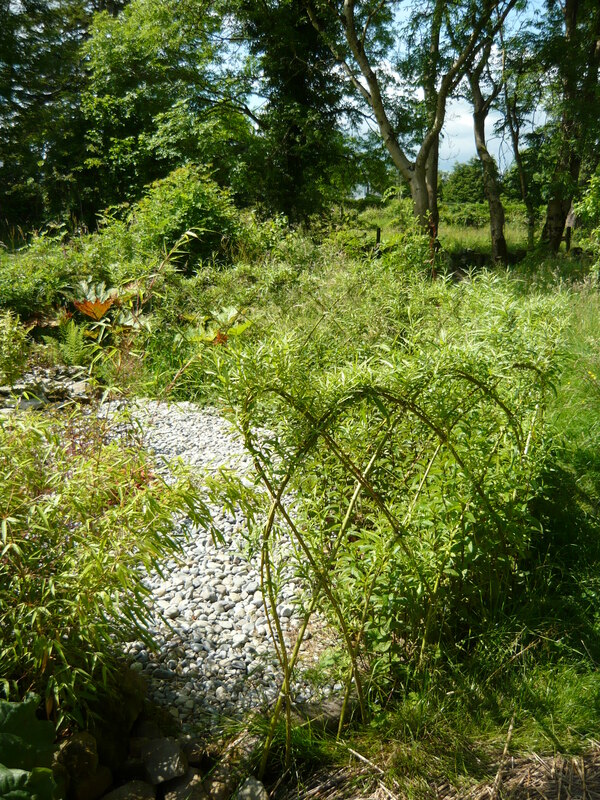 Yes we are planning to coppice some of our willows when they get a bit bigger. Both for fire wood and for basketry. We have a lot of different varieties with coloured stems. We have also planted alders for coppicing as they produce better firewood, but take slightly longer to grow. They like wet ground as well.